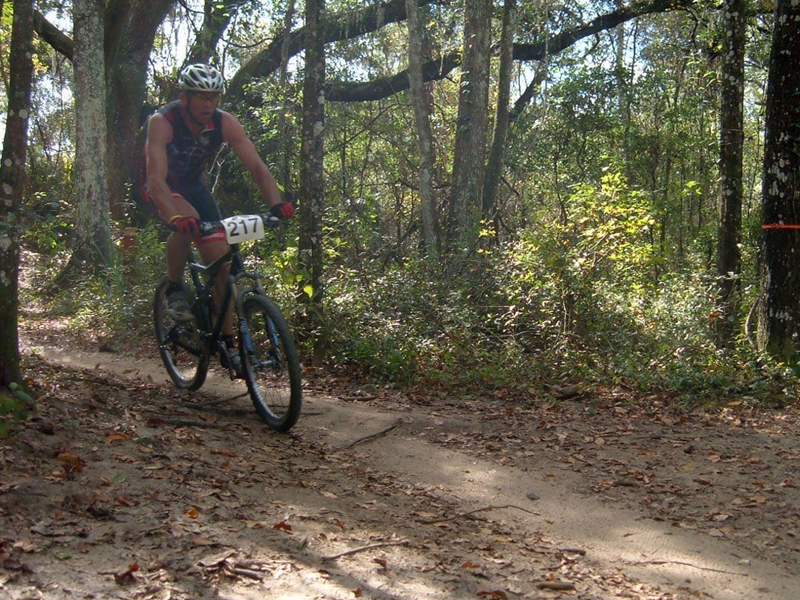 The Chuluota Wilderness Area offers 2 loops, the East Loop (2.7 miles) and the West Loop (2.6 miles) which can be combined into a 6 mile stretch of Mountain Biking trails in Chuluota Florida. The East Loop is 2.7 miles and the West Loop is 2.6 miles. It will take about 45 minutes to an hour to complete both loops. The Chuluota Wilderness Area is great for hiking and trail running, but if mountain biking is more your speed then you’ll want to pay this spot a visit. The Chuluota Wilderness area offers miles of paths for you to explore with just enough shade to keep your ride comfortable. If you live in Orlando, the only thing keeping you from some great mountain biking is a quick 24 mile drive. The Chuluota Wilderness area offers 2 loops, the East Loop (2.7 miles) and the West Loop (2.6 miles). Because of the relatively short distances for each loop you may want to combine them into one long ride. Both loops take you through a variety of environments from pasture land and forest to wetlands in the south section of the area. The ride is mostly flat and easy, so it makes for a relaxing time out in the woods. You will leave the trailhead and start on the West Loop trail. From there you will have the option of continuing south to the southern boundary of the area or turning left (east) towards the East Loop. Either direction will give you the opportunity to extend your ride by connecting the loops together. Along the West Loop you’ll pass a pond with an Observation Shelter. This is a great place to rest during your ride or stay dry if it starts to rain. Note: The East Loop may flood in the wet season. If you’re planning on visiting the Chuluota Wilderness Area in the summer be sure to keep an eye on the forecast leading up to your visit. 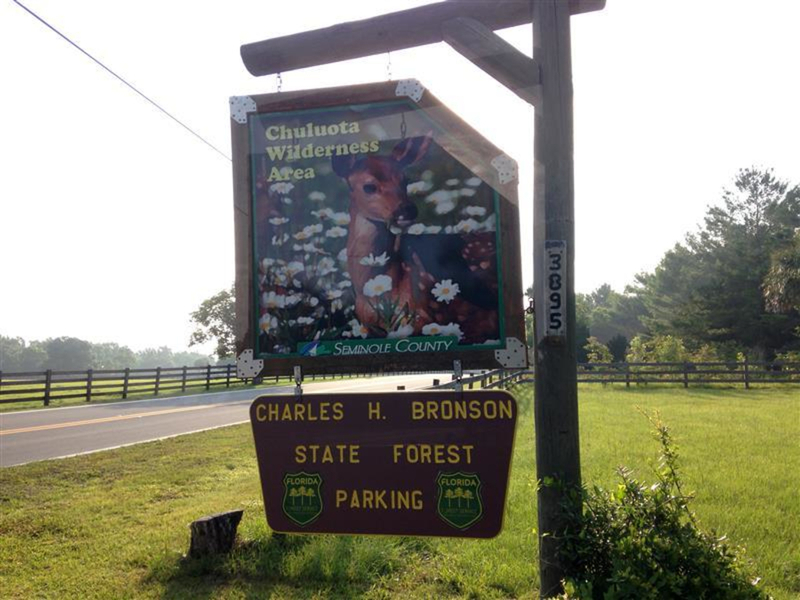 Mountain bikers looking for smooth, well maintained trails will enjoy Chuluota Wilderness. The trails may not be challenging, but the secluded nature of the area will allow you to enjoy the area without running into any crowds. Make sure to bring lots of water as there is not a water source at the trailhead. This is definitely a time to break out the hydration systems. To start off your ride you’ll park at the trailhead off of Curryville road in Oviedo, FL. The parking is large enough to accommodate 8-10 cars so finding a spot shouldn’t be an issue. There are also no parking fees. As always be sure to lock up any valuables in your vehicle before you head out.